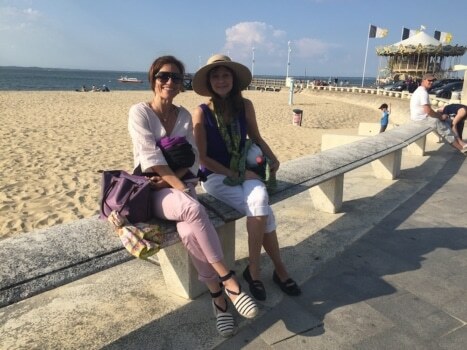 Learn the French vocabulary typical of Arcachon, and discover this amazing French city by the ocean as you practice your French with this bilingual French English story. Le Bassin d’Arcachon = Arcachon Bay (by the Atlantic ocean, southwest coast of France). The general shape of Le Bassin d’Arcachon is that of an equilateral triangle pointing north, the southwest corner of which is open to the sea, between Cap Ferret and the town of Arcachon (more specifically, one of the suburbs of La Teste-de-Buch, Pyla-sur-Mer), through a 3 km narrow channel (Les Passes). Situated 55 km from Bordeaux, the bassin d’Arcachon is one of the most important tourist sites on the Atlantic coast. Arcachonnais, archachonnaise = From Arcachon. Our maritime pine trees are very famous, green all seasons, the conifers proudly withstand the bracing winds, providing the perfect setting for a walk in the forest, picking up pine cones or simply enjoying nature. These oysters huts are emblematic, you can visit all year round, they serve as workshops where you can also enjoy their delectable products in a friendly atmosphere, direct from the oyster farm to the consumer, happy eating! A lot of them were built in the 19th century. Founded on May 2nd, 1857 by imperial decree of Napoleon III, Arcachon quickly became a holiday destination synonymous with well-being. Its reputation has continued to grow. It expanded, neighborhood by neighborhood, over time. It was established at the beginning of the 19th century. The fashion of sea swimming arrived at Arcachon and celebrities built their chalets and villas. 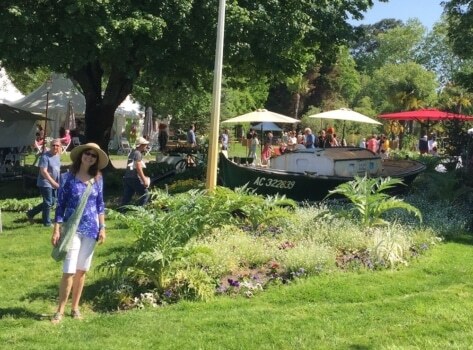 It includes the St Ferdinand and Aiguillon neighborhoods, renowned for fishing and yachting; fisheries and shipyards thrived there until the beginning of the ’50s. It is located in the Sainte-Anne des Abatilles spring area lined by the large Pereire beach and walking promenades. Built by the architect Paul Régnauld, it is one of the best places to admire the beautiful view over the Bassin, the spiral staircase will take you up there, enjoy! Created in 1863, the Mauresque Park is filled with beautiful trees, flowers and children playgrounds. This is a small boat made of pine tree, formerly used to transport oysters. Located between Cap Ferret and Dune du Pilat, this is the largest sandbank on the Girondin coast. Known for its extraordinary size: 110 meters high, 2,7km long, la Dune du Pilat is the highest sand dune in Europe. Je suis consciente d’être vraiment très chanceuse d’habiter cette région de France. A chaque visite de mes étudiants en immersion, le commentaire très enthousiaste est le même, concernant à la fois la beauté du site, sa diversité, et la qualité de vie ici. I’m aware that I’m truly lucky to live in this part of France. At each visit of my French immersion students, the very enthusiastic feedback is the same, relating to the beauty of the site, its diversity, and its excellent quality of life. Au cours des différentes immersions avec mes étudiants, et en toute saison, nous avons pu explorer de nombreuses facettes culturelles de la région, notamment « la Maison de l’Huître » à Gujan Mestras, où tous les secrets de l’ostréiculture vous sont révélés. During the various immersions with my students, and in any season, we were able to explore various cultural facets of the region, including « la Maison de l’Huître » in Gujan-Mestras, where all the secrets of oyster farming are revealed to you. Avec mes étudiants David et Suzanne par exemple, nous nous sommes rendus dans ce vieux quartier d’Arcachon, appelé « Ville d’Hiver ». La plupart des grandes maisons construites à l’époque étaient dédiées à l’accueil de personnes riches, souffrant de maladies respiratoires, qui venaient bénéficier du micro climat de la région, pendant leur convalescence. With my students David and Suzanne for example, we went to an old area of Arcachon, named « Ville d’Hiver ». Most of the large houses built at the time were reserved to the hosting of rich people, suffering from respiratory diseases, who came to benefit from the microclimate of the region during their convalescence. Nous nous sommes promenés à pieds pour y admirer ces grandes maisons à l’architecture ancienne et typique. C’est le meilleur moyen de découvrir le quartier. Arrêtons-nous quelques instants pour vous parler plus particulièrement de la Villa Alexandre Dumas, une des plus jolies maisons de la Ville d’Arcachon. Construite en 1895, d’abord appelée Villa Osiris, elle fut rebaptisée « Villa Alexandre Dumas » lors de son changement de propriétaire en 1907. Il y a plein de détails amusants à regarder sur cette maison unique et tellement originale ! Let’s take a few moments to talk about the Villa Alexandre Dumas, one of the most beautiful houses in the city of Arcachon. 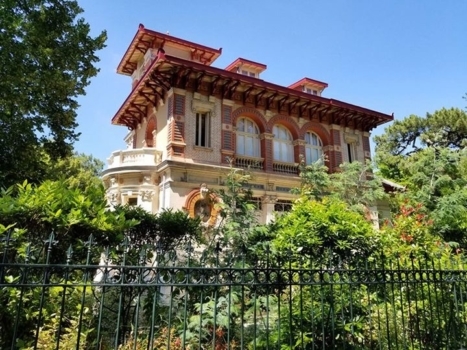 Built in 1895, first named Villa Osiris, it was renamed “Villa Alexandre Dumas” when it changed ownership in 1907. There are so many interesting details to look at on this unique and so original house! L’office de Tourisme de la ville propose de découvrir ce magnifique quartier, à travers un jeu de pistes. Munis d’un plan et en suivant les indications, nous pouvons ainsi trouver quelle villa correspond à la description. 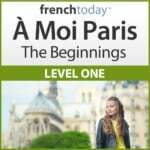 A la fin, lorsque toutes les villas sont identifiées, vous pourrez découvrir le mot clé qui vous révélera l’énigme. The local tourist office suggest you discover this beautiful site through a game of tracks. Equiped with a map and following instructions, one can find which villa corresponds to what description. At the end, when all the villas are identified, you can discover the key word that will reveal the riddle. Après cela, la visite se poursuit avec le franchissement d’un petit pont qui nous mène au pied du Belvédère. J’y invite toujours mes étudiants afin d’admirer une vue imprenable sur la côte. La montée et la descente se font par un escalier en colimaçon, très étroit et typique, qui donne du piment à l’excursion. 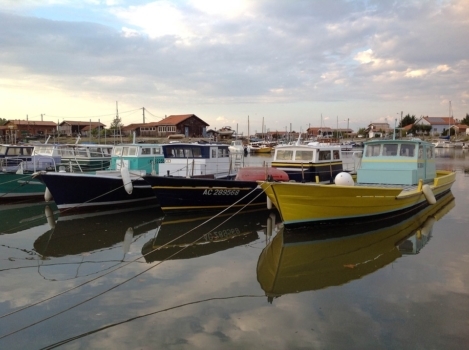 Avec des jumelles ou simplement avec de très bons yeux, vous pourrez voir au loin les Cabanes Tchanquées, posées sur l’eau, un autre joyau typique du Bassin d’Arcachon. After that, the visit continues with the crossing of a small bridge that leads us to the foot of Belvedere. I always invite my students to admire this breathtaking view of the coast. The ascent and descent are done via a very narrow and typical spiral staircase, which adds a challenge to the excursion. 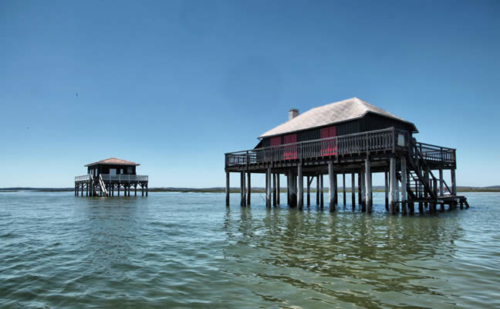 With binoculars or simply with very good eyes, you can see in the distance the Cabanes Tchanquées, on the water, another typical gem of the Arcachon Bay. Puis nous poursuivons avec la découverte du parc Mauresque : ses fleurs, ses arbres, ses jardins, son ancien casino (qui a malheureusement brûlé en 1977) tout est un régal de couleurs et d’odeurs. Il est temps de faire une petite pause bien méritée sur un des nombreux bancs du parc. We then continue with the discovery of the Mauresque Park: its flowers, trees, gardens, its old casino (which unfortunately burned in 1977), everything is a feast of colors and smells. It’s time to take a well-deserved break on one of the many park benches. 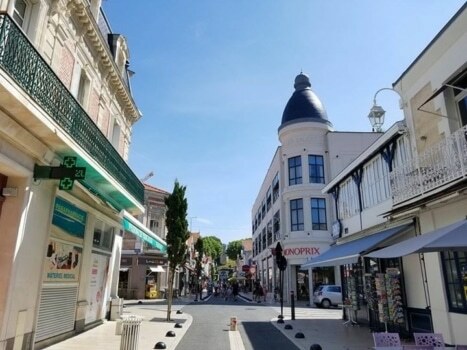 Enfin, la visite de la ville se termine par une promenade pour flâner au milieu des commerces, jusqu’au bord de mer. C’est le moment de prendre un rafraichissement, d’acheter quelques souvenirs et peut être de réserver un ticket pour prendre le bateau. Ainsi vous pourrez explorer l’île aux Oiseaux, le Banc d’Arguin, ou traverser le Bassin jusqu’au Cap Ferret. Miam miam, c’est aussi l’occasion idéale pour aller y déguster des huîtres extra fraiches, un bon plateau de fruits de mers, et faire une balade sur la plage. Finally, the visit of the city ends with a walk while wandering among the shops, all the way to the seaside. 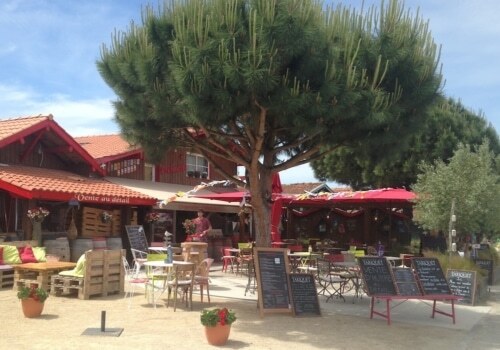 It’s time to enjoy a refreshment, buy some souvenirs and maybe book a ticket for a boat ride so you can explore L’Île aux Oiseaux, Banc d’Arguin, or cross the Bay to Cap-Ferret. Yum yum, this is also the perfect opportunity to go eat fresh oysters, a good seafood platter and go for a walk on the beach. J’ai pris un immense plaisir à partager cette visite avec vous. Si l’expérience vous tente alors n’hésitez plus, contactez-moi pour un séjour d’immersion à Arcachon! I took great pleasure in sharing this tour with you. 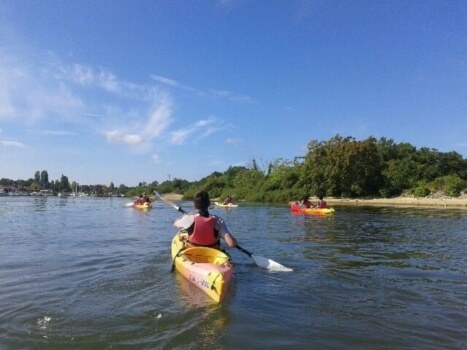 If the experience is appealing to you then do not hesitate and contact me for a French immersion homestay in Arcachon!